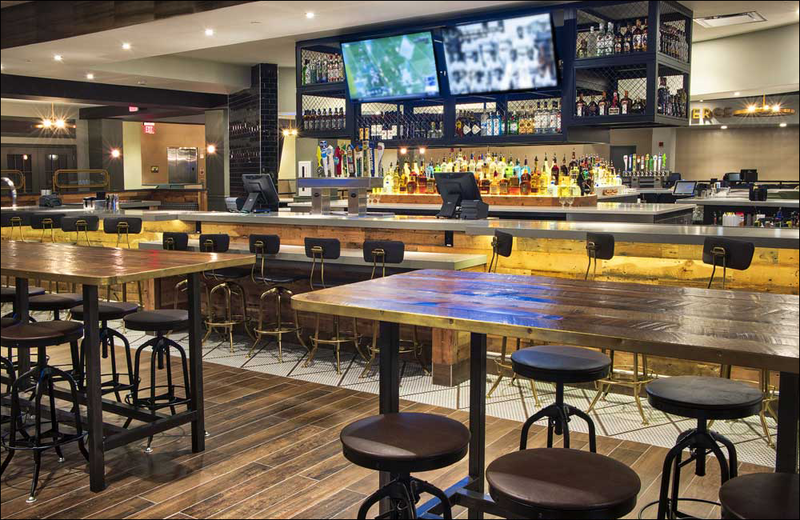 Located on the second floor Premier Level, this restaurant and bar features a large open dining area, full-service bar, hi-and low-top dining tables, an adult game room and TV’s. Hours of operation are from 10:30 a.m. to close daily. Menu selections are crafted with fresh regionally sourced produce and include seafood and hand-crafted pizza with house made dough. Highlights include Grilled Mahi Mahi, served with a fresh mango salsa accompanied by crisp asparagus and oven roasted potatoes; fresh Pan Seared Salmon set atop a bed of roasted Brussel sprouts with hearty wild rice; and Fettuccine Alfredo with a creamy garlic sauce, fresh parmesan cheese and parsley. Also featured on the menu are a perfectly cooked Bistro Burger, juicy Pulled Pork Sliders, and a number of vegetarian options including a Southwest Black Bean Burger, Rosemary Fries, Patatas Bravas, Fried Zucchini and more; ages 18 and up after 5 p.m. daily. Screen a current movie with friends or co-workers, gather with family, or host a corporate meeting or event in our intimate auditorium with 29 luxurious electric reclining seats and two handicap accessible areas, in-theatre wait staff and state-of-the-art, built-in presentation and gaming equipment. The dynamic VIP Screening Room space is a perfect location for holidays and events, business meetings, private event screenings, birthday parties and much more. Six Premier Level balconies that feature all-reserved loveseats with tray tables (ages 18 and up after 5 p.m. daily). 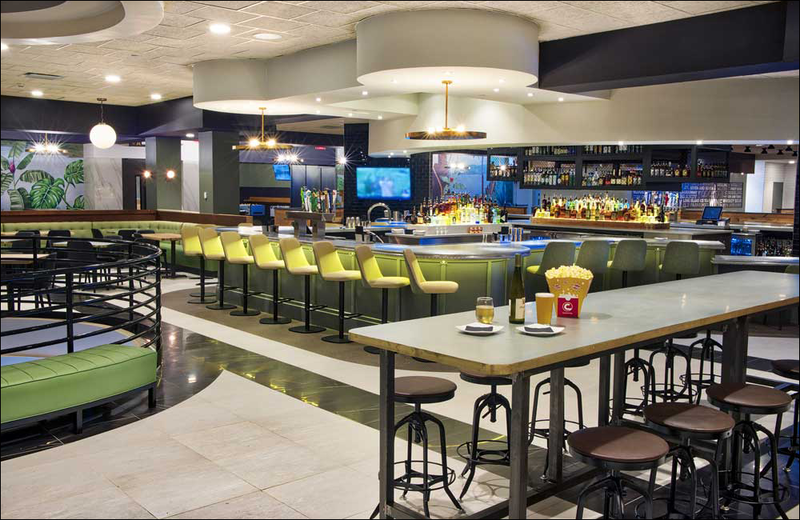 The full-service Movie Bistro restaurant and bar on the Premier Level at 10:30 a.m. daily (ages 18 and up after 5 p.m. daily).